South Island: From $60-$75 to main centers and up to $100 to smaller centers (rural extra). * Freight cost per basket will go down when purchasing larger quantities (6-18 baskets). Targets are made to order. For detailed information click on the product photos below. 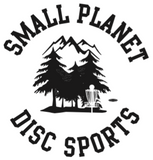 Please contact sales@smallplanetdiscsports.co.nz or call 0210455632 if you wish to order.